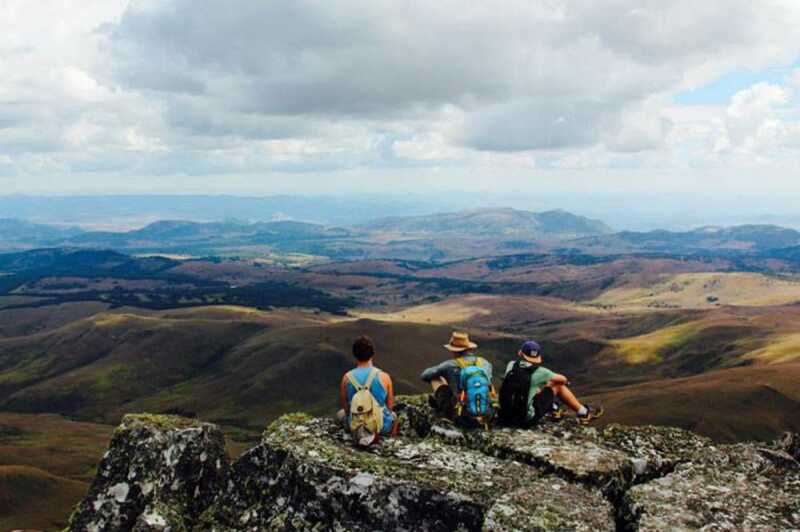 Running alongside the Mozambican border for some 300 kilometres, the Eastern Highlands is a mountainous area of spectacular natural beauty: rolling hills, green forests, rugged peaks, misty valleys, deep gorges, cascading waterfalls, and sparkling rivers and lakes. This is a totally different side to the Zimbabwe that most visitors know: the cool damp climate and lush green landscapes of the Eastern Highlands are a contrast to the dry savanna in other parts of the country. While there is some game in the parks of the highlands, this is not a prime safari destination. 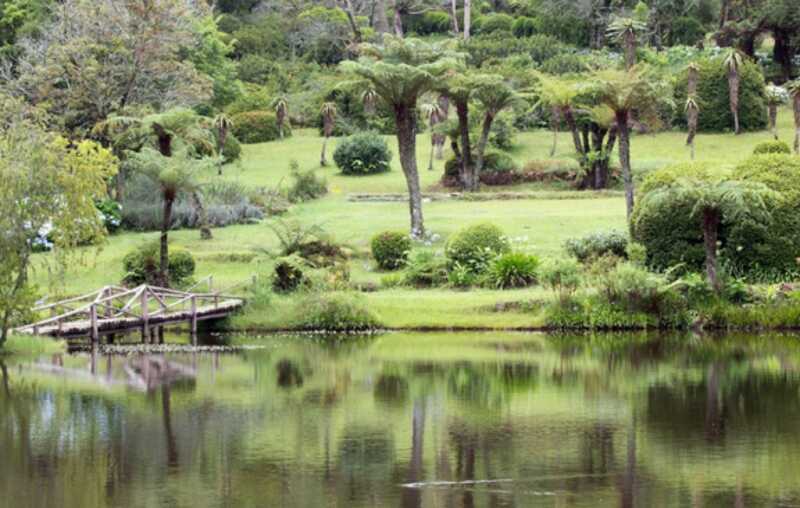 Instead, people visit the Eastern Highlands for the outdoors activities of hiking, horse riding, fishing and golf, as well as the superb birdlife and the stunning scenery. The Eastern Highlands is made up of three areas – the Nyanga Highlands in the north, the Bvumba Mountains in the centre and the Chimanimani Mountains in the south – each of which has its own attractions. In the rolling hills of the north, Nyanga National Park is where you’ll find Zimbabwe’s highest mountain, Mount Nyangani, and its highest waterfall, Mtazari Falls as well as wildlife, lots of birds, wonderful hiking trails and excellent trout fishing. The central highlands are home to the city of Mutare – the biggest settlement in the region – but the real draw is the Bvumba Mountains, where lush forests are home to rare bird species and the samango monkey. In the southern highlands, Chimanimani National Park is excellent for mountain hiking, while you can indulge in some forest threrapy at Chirinda Forest Reserve, Africa’s most southern tropical rainforest, and go horseback riding in the hills. 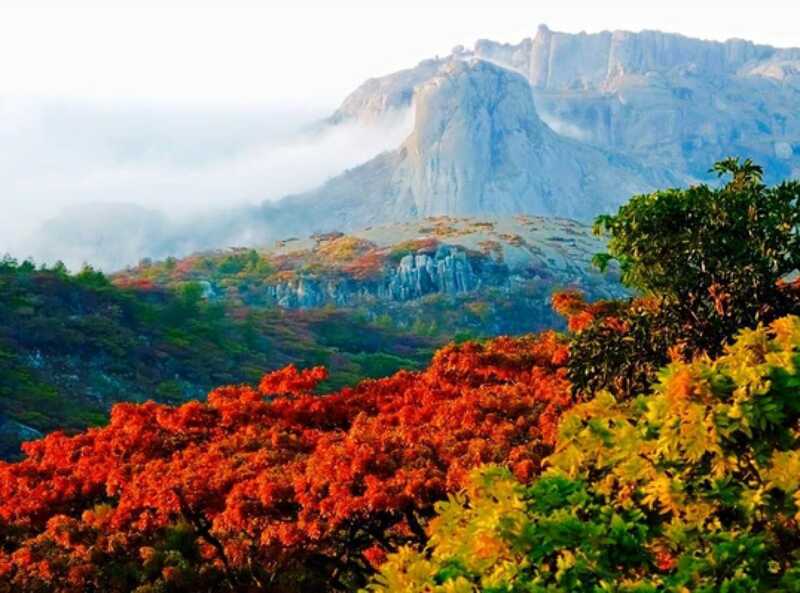 Zimbabwe’s oldest national park, Nyanga National Park is made up of beautiful landscapes of rolling hills, granite outcrops, expansive valleys and deep gorges. It’s home to the highest mountain in the country – Mount Nyangani – and the 762-metre Mtazari Falls, Zimbabwe’s highest waterfall, as well as kudu, klipspringer, reedbuck, blue duiker and samango monkeys, rich archaeological sites and an incredible wealth of birds – more than 300 species – making it a birding hotspot. Fishing for trout is a popular activity here, as is hiking. The standout hike is the five-night Turaco Trail, one of the country’s most scenic hikes, which traverses magnificent mountain and forest landscapes through Mutarazi Falls and Nyanga National Parks to the summit of Chikorokoto, passing waterfalls, rivers, valleys and grasslands on the way. In the central highlands, the lush forested Vumba Mountains – “Mountains of the Mist” – is a top birding destination, with a number of special species that can be spotted (it’s a good idea to hire a birding guide to help you). One of the world’s best championship golf courses is here at the Leopard Rock Hotel, while the beautiful Vumba Botanical Gardens are worth exploring for wonderful exotic and indigenous plant life. In the south of the highlands, the dramatic mountain scape of Chimanimani National Park is renowned as a serious hiking destination although horse riding is also popular. Multi-day hikes are the best way to explore the rugged park. You can camp anywhere in the reserve or, for something thrillingly different, sleep in one of the caves scattered throughout the park. At the highlands’ very southern edge, Chirinda Forest Reserve protects a beautiful pocket of tropical rainforest with centuries-old hardwood trees. In the Valley of the Giants you’ll find Zimbabwe’s oldest tree, a mahogany estimated to be at least a thousand years old. The best time to visit the Eastern Highlands is April to July, although in these winter months there are plantation fires which can make the sky hazy. Note that some roads are inaccessible during the rainy summer months from November to March. The best months for birding are November to April. There are lots of dirt roads in the Eastern Highlands, which means that you’ll need a 4x4, especially in the rainy season, or a car with high clearance if you’re travelling in the dry season. If you are going hiking in the mountains, make sure you have a decent map and a compass and tell the park warden or someone at your hotel what your planned route is. There’s also the option of hiring a guide to go hiking.